The Kenley Revival Project aims to preserve and protect the heritage of the most intact fighter airfield from World War II. Kenley airfield plays a unique and important role in Britain’s history. As the UK’s most complete surviving Battle of Britain fighter airfield, it gives us a direct and tangible link to our aviation past. As an active airfield today, it builds on that heritage, whilst the surrounding environs provide us with a site of nature conservation and a protected public open space. The aim of the Kenley Revival Project is to enable people to connect with, and take ownership of, a vital part of British history. 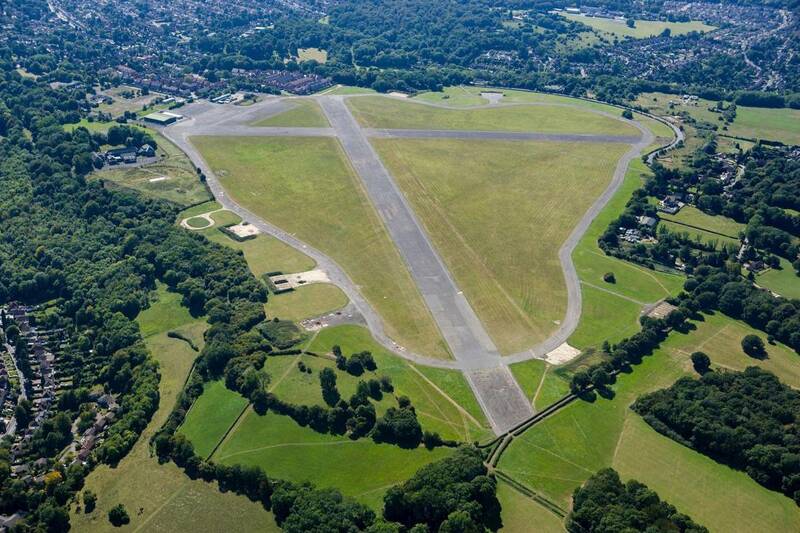 As the nation commemorated the 75th anniversary of the Battle of Britain in 2015, it is our intention to revive and protect the spirit of Kenley Airfield at war. There will be inspirational events such as Sky Heroes Day, as well as a range of initiatives including community archaeology and learning festivals, all creating opportunities to learn about and engage with a period when the country’s future hung in the balance. Our vision is that Kenley will also become a nationally significant heritage resource. Through our online archive, we will provide a central repository for all the pictures and documents of that time; for those who wish to share their memories and those who wish to find out more. If you would like to be involved in any of these, please visit our volunteering section. We would be delighted to hear from you.